While a strong photograph will look great on any material, there's no doubt that some images lend themselves better to certain types of prints. As such, I'm always looking for different printing techniques to match my favorite photographs. That's why I've begun offering metallic prints sandwich-mounted between an acrylic face and dibond backing, as well as acrylic photo blocks. Many of my photographs feature crisp details and bright, electric colors. There is no better way to view these images than behind optically clear acrylic, which refracts light differently than glass, creating a stunning color vibrancy and nearly a 3-D effect. With proper gallery lighting, the image appears almost backlit. The technique, which was pioneered in 1969 by Heinz Sovilla-Brulhart, preserves the minute details of the image and protects the image from fading. Unfortunately, pictures and videos of an acrylic print can't truly capture the eye-popping vibrancy of the image when seen in person, but there's a reason acrylic-mounted photos have become favored at fine art galleries across the world. As I've begun expanding my print options, I will always try to let clients know which technique is ideal for each image. 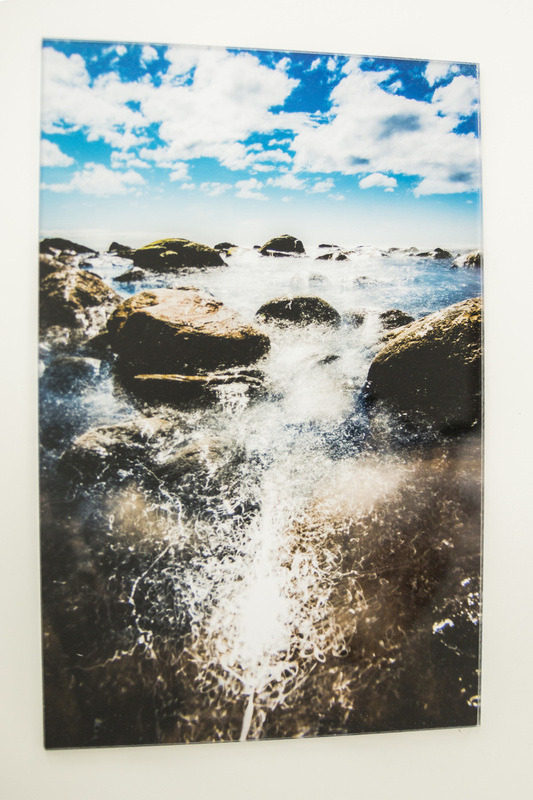 The acrylic mount may create a spectacular print of "Electric Shine," while an image such as "Serenity" may be better suited to the soft, painterly quality of a canvas print. If you have any questions about what printing options are best your preferred image, please use the Contact page to submit a query. An image such as "Electric Shine," left, looks stunning when mounted behind an optically clear acrylic face, while the softer look of "Serenity" lends itself to painterly look of a canvas print.